The word fouta is an arabic word for tissue. 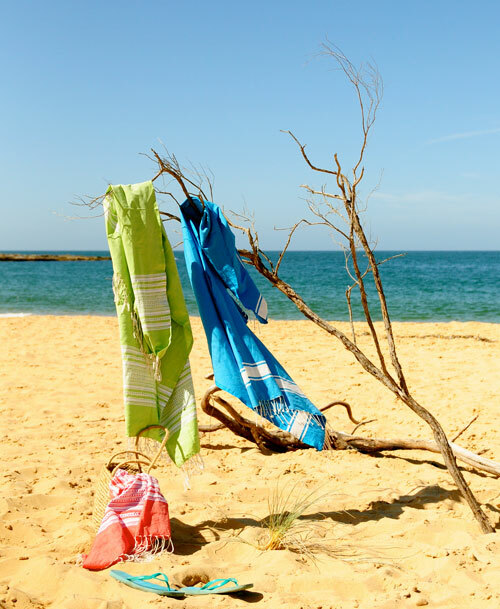 In Tunisia hammam towels are called foutas. Striped Fouta Towels are traditionally offered at Tunisian bathhouses. Whether you use them for beach, spa or everyday use you will find many practical reasons to keep a fouta with you always. See our modern equivalents in a range of styles that all stand out for their quality and good looks. Each towel is luxuriously large and highly absorbent (the more often they are used, the softer and more absorbent they become). Focalpoint Fouta Towels are available in a variety of colours, each towel is woven from 100% Egyptian cotton and finished with a hand-knotted fringe.